Some interesting reports have come out this week about the drought situation. 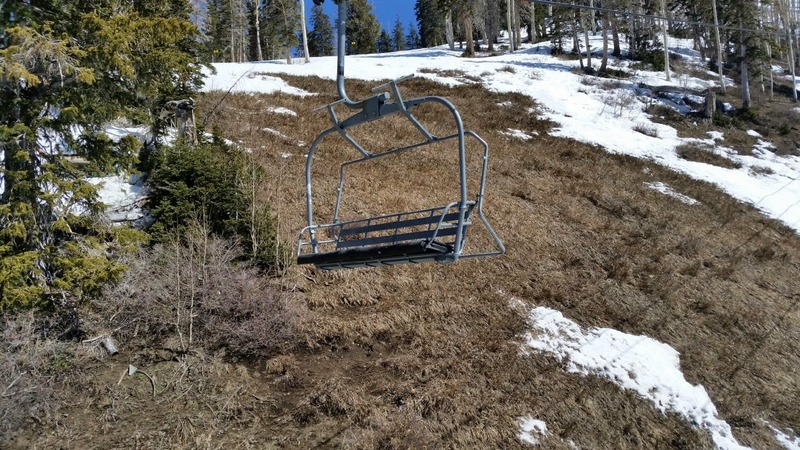 Randy Julander of the Natural Resource Conservation Service said that the snowpack in Utah is the lowest it has been in three decades. 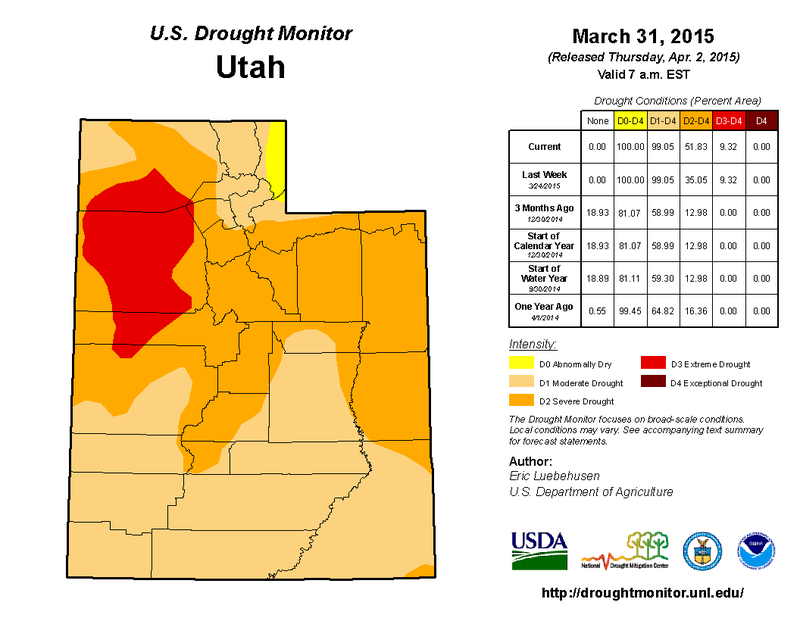 Some farmers in Southern Utah are facing water restrictions and several communities in Central and Eastern Utah are under restrictions already. Governor Jerry Brown of California has ordered mandatory restrictions on water use in that state; the snowpack in the Sierra Nevada mountain range is 5% of normal. - mulch the top of the soil in the vegetable garden to keep the moisture from evaporating: wood chips, straw, etc. - install a drip system in the vegetable garden to efficiently deliver water to the roots of the plants; no sprinklers - they spray water everywhere and waste it. - remove some of the turf grass from the hottest, driest parts of the yard and replace with waterwise perennials and ground covers. Some of these plants will only need water every 10 days or 2 weeks, and only during the hottest parts of summer!